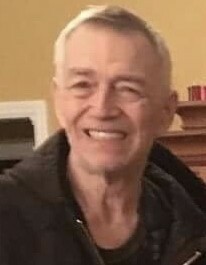 Robert is survived by his two sons: Robert Liston III of Cleveland, Ohio and Eric (Trina) Liston of Gold Hill, Oregon; One daughter, Danielle (Jimm) Walker of Medford, Oregon; 9 grandchildren; 3 great grandchildren; and siblings: Roger G. Liston of Bellevue, Linda (Russell) Keesee of Bellevue, Ohio, Douglas (Sue Green) Liston of Findlay, Ohio, Laurel (Craig Weisenburger) Biller of Winter Haven, FL. In addition to his parents, Robert is preceded in death by his sister, Leslie Holmes; and paternal grandparents, Robert L. Liston and Elva Kleppner Liston. A memorial service will be held on Friday, April 5, 2019 at 1 p.m. at Foos & Foos Funeral Service, 151 Yorkshire Place, Bellevue.